Musk said wild swings in Tesla's stock price are a “major distraction” to the automaker's workers, who are all shareholders. The wild tweet hit Wall Street at precisely 12:48 p.m. Tuesday -- and things just keep getting wilder. Seemingly out of the blue, Elon Musk proclaimed that he might pull his money-losing Tesla off the market. Taking the electric-car company private at the price he touted would amount to an $82 billion valuation, a monumental sum that left many investors wondering: Is this a joke? 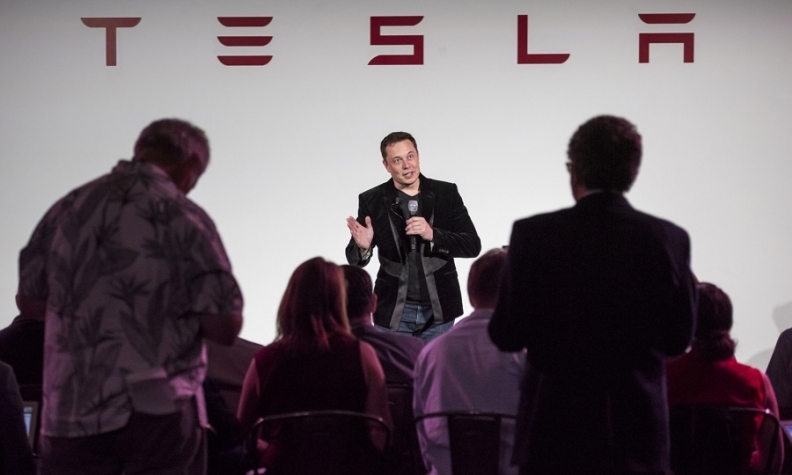 Musk, the enfant terrible of Tesla and SpaceX, has defied the odds before. But Tuesday’s gambit -- unleashed in tweet after tweet over the next 2 hours and 40 minutes -- opened a new chapter in one of the most tempestuous business stories of our time. Even fans seemed unsure whether Musk could pull this off -- or, if he does, where that will leave Tesla. Only a week ago, the company with a seemingly unshakable base of firm believers and equally fierce legion of detractors recorded another huge loss after burning through hundreds of millions of dollars. He has made no secret that he has little patience for his naysayers. In a May conference call, the CEO blithely said that if investors were concerned about the volatility of Tesla’s stock, they shouldn’t own the shares. Separately, Tesla, which has picked Shanghai as the location of its new gigafactory, is counting on the city’s government to help obtain loans from some of the biggest Chinese banks to fund the planned facility, according to people familiar with the matter. At least four lenders have begun the appraisal process on the loans, the people said, asking not to be identified because the information is private. Some banks have signed confidentiality agreements with the Shanghai government and Tesla, and are in advanced negotiations, they said. It’s lost money on an operating basis every year since going public and has been burning through billions of dollars amid the struggle to iron out production issues with its Model 3 sedan. Neither Musk’s tweets nor his blog post make mention of how the company would pay for it. Tesla closed at $379.57, up 11 percent from Monday. Viewed differently, though, the stock ended the day about 10 percent below the $420 price Musk said he’d pay to take the company private, highlighting the doubts traders have about his ability to pull the deal off. Most major buyouts also require a trip to the junk bond markets, where Tesla has fallen out of favor. Its inaugural offering of the notes last year fell below par almost immediately and never recovered. The bonds rallied Tuesday, but at just 92.4 cents on the dollar, they too reflect investor skepticism. If the deal were to actually go through, creditors would reap -- thanks to a clause in the bond contract -- a price of 101 cents on the dollar. “Funding $50 billion-plus for a negative free cash flow business would be difficult, if not extraordinary,” said Joel Levington, an analyst at Bloomberg Intelligence. In an interview with Bloomberg News in January 2015, he spoke of the benefits of running his closely held rocket company, Space Exploration Technologies, and his frustrations with having taken Tesla public in June 2010.